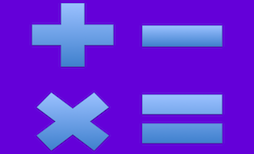 Ratios and Proportions Riddle State ratios from scenarios and finding value of x in a basic proportion. Easy proportion word problems Riddle Problems can and should be done mentally to show students they don't always have to set up a proportion to solve a problem. Proportion word problems Riddle Normal level of difficulty proportion word problems. Ratios 1 Riddle Students will either simplify given ratios or state ratios from tables/scenarios. Are Two Ratios Proportionate 1 Riddle Basic level. Given a pair of ratios, students will determine whether they form a proportion. Are Two Ratios Proportionate 2 Riddle Values in ratios are large. Given a pair of ratios, students will determine whether they form a proportion. Similar Figures 1 Riddle Basic level. Integer answers. Similar Figures 2 Riddle Students given extranneous values for figures and must decide which values to use to find the missing side. Basic Proportions Riddle Positive only. All integer one step proportions. Basic Proportions 2 Riddle Positive only. All integer one step proportions. Comparing Costs Standard Use unit rates to compare costs per item, lb, etc.